> a message from a listener who wrote saying that their favorite work was Tsubasa and GATE 7 (I think? ), or maybe they liked seeing GATE 7‘s characters in Tsubasa. She might be influenced greatly by The Rose of Versailles, but Antoinette was being “toyed” in various way and influencing her to be different between in castle and outside. Ohkawa-san also said it’s kind of like the real life as she met a taxi driver it’s not everyone who he trusts (not sure about Antoinette part but she mentioned about being “made fool”). > Then, around 8:00 minutes I *think* Ohkawa says that their trip to Kinugawa Onsen was not for the sake of Tsubasa but for the sake of (another) work. But I’m not 100% sure about this. They add that they really enjoyed going there. Yes, it’s not for Tsubasa, but for another work. >I’ve seen people tweeting about the final Nirai Kanai hen volume having a few announcements but again, I’m not 100% sure about this. 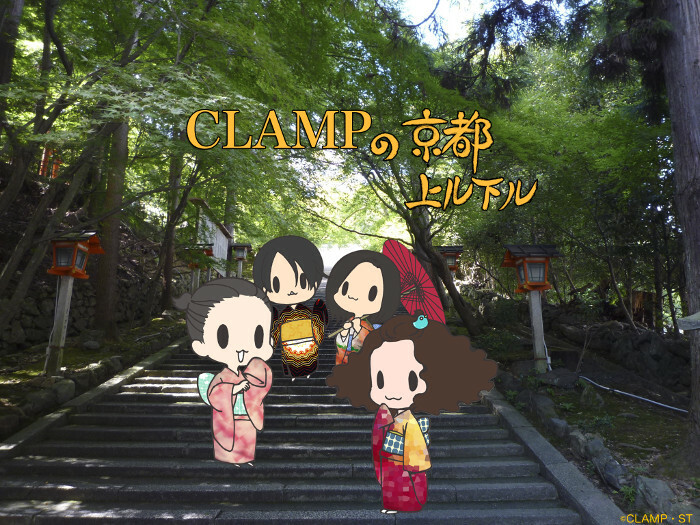 Yes, I heard CLAMP mentioned about, too. I’m happy that the trip wasn’t for Tsubasa. Sort of implies that they are working for something else. Thank you so much for your hard work translating it! I knew you would react to this post 😉 Well, it is weird that we’ve never seen the 3 of them in Tsubasa. Maybe CLAMP are saving them for the right moment. And it would be the real ones from Rayearth and not some alternative version of them, which would be cooler. Of course, I was going to react to this!!!! I think that is weird and sad not to see them until now; just some panels and an alternative version. I loved to see Eagle and co. but that’s not enough. I wonder what can happen if they meet real Mokona. As God, it can change the fate of Syaoran and Watanuki, but also, not interfere. does that mean twc is continuing after all then? i do want twc to continue. its definitely got potential with those loose ends and the vampire twins. id like another arc soon, to move on from the what the hell!? nothing happened arc- a.k.a, nirai kanai. rayearth arc or clover arc sounds fantastic. werent c!syaoran and c!sakura reincarnated into rayearth world back in trc? i seem to remember the rayearth characters making a short appearance with sakura on a school trip. and id love to see them in gate7 world. ive often thought that hana and chikahito remind me of yuuko and watanuki. and they are both non existent like watanuki too. i did like gate 7, but it has way to much dialogue, and too many characters so i got confused early on. This is definitely not the end of “Tsubasa – WoRLD CHRoNiCLE -“, but who knows how long we’ll have to wait until we see more of it?